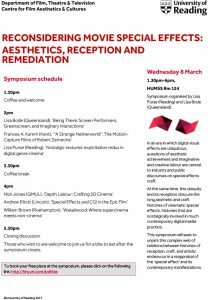 In an era in which digital visual effects are ubiquitous, questions of aesthetic achievement and imaginative and creative labour are central to industry and public discourses on special effects craft. 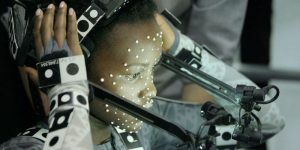 At the same time, this ubiquity and its reception obscure the long aesthetic and craft histories of cinematic special effects, histories that are nostalgically invoked in much contemporary digital media practice. 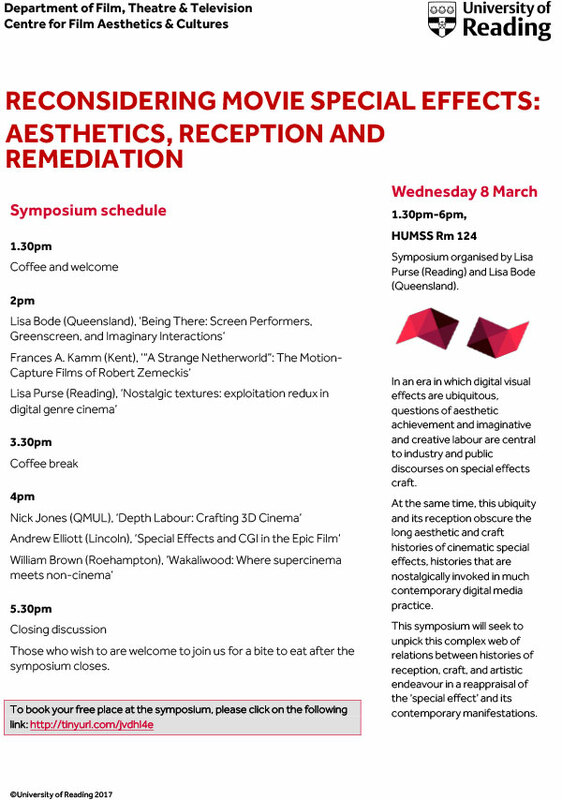 This symposium will seek to unpick this complex web of relations between histories of reception, craft, and artistic endeavour in a reappraisal of the ‘special effect’ and its contemporary manifestations.